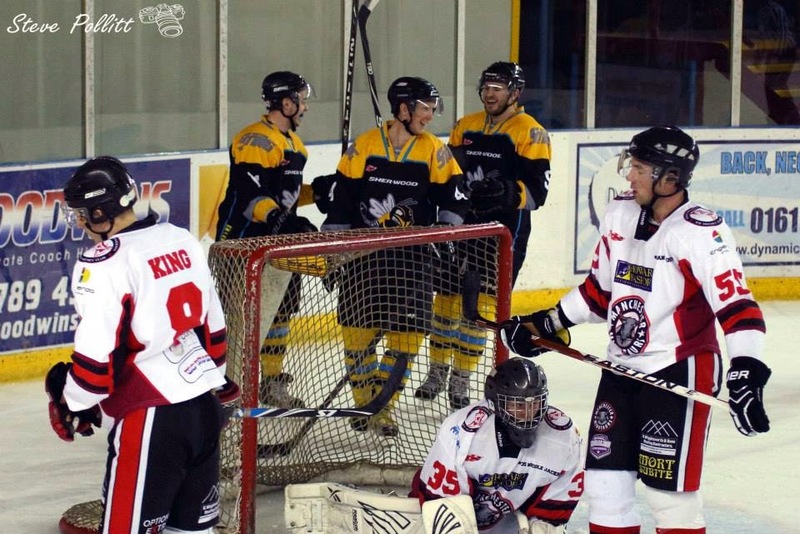 In the Laidler Conference, Sheffield Senators won 1-5 away at Blackburn Eagles. Senators have just one game left to play - at home to the Eagles on 30th March. They are currently 6th in the table but could yet be caught by Widnes Wild who are 3 points behind them with 3 games in hand. The Eagles also have 4 games left to play and will be looking to build on their 3-point tally for the season so far. Sutton Sting booked their place in the final of the KD Flavell & Sons Welding Northern Cup with a 4-6 win away at Manchester Minotaurs. They top the qualify group with 12 points from their 8 games. The other finalist will be either Solway Sharks or Blackburn Hawks who are level on 10 points each and who meet at Dumfries Ice Bowl on 22nd March. Photo: Manchester Minotaurs v Sutton Sting by Steve Pollitt.